Before this post, I had never made homemade soup of any kind! The only reason I even tried making my own soup was because I had chicken stock left over from making a carbonara a few days ago. 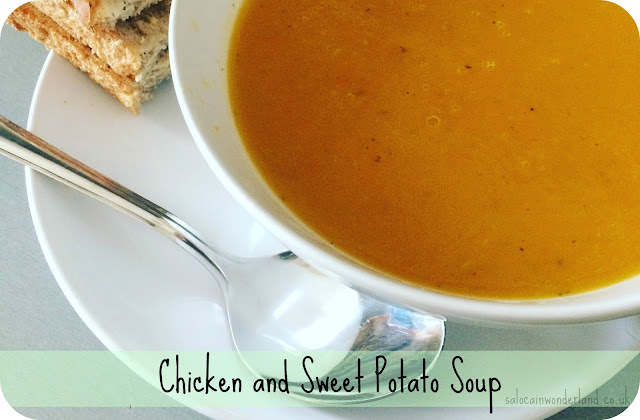 Not wanting it to go to waste and always looking to try something new, I took to the kitchen and came up with this really tasty chicken and sweet potato soup as you do on a random Sunday afternoon. If you don’t have the stock to hand, just boil up 2 pints of water, adding 2 chicken stock cubes/jelly. 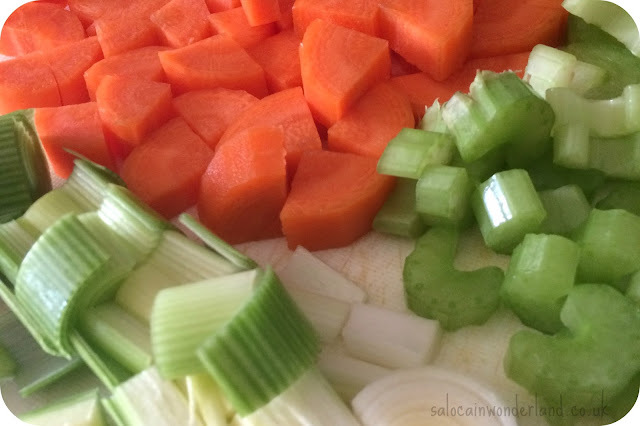 Roughly chop the carrot, celery and sweet potato into 1cm cubes. Quarter the leek. Bring your stock to the boil, adding a pinch of salt and black pepper. Add all your chopped ingredients. Add 1tsp basil, oregano and paprika, stir and bring to the boil. Pop a lid on the pan and gently simmer until everything is nice and tender. Take the pan off the heat, blend and serve. If you have any leftover soup, it can be kept in the fridge for 3-4 days, or in the freezer for around 6 months. What’s your favourite way to use up leftovers? Mmmmmmm!!!! 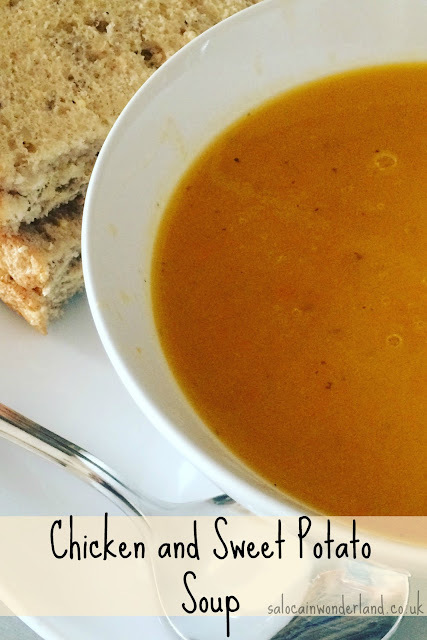 I love making veg soup!!! I don't really make chicken now since my husband is a Peskytarian! !